Naica Crystals Caves (Mexico) | 10 World's Most Amazing Grottoes And Caves to Visit! 10 World's Most Amazing Grottoes And Caves to Visit! This fantastic cave was discovered in 2000 by 2 miners. 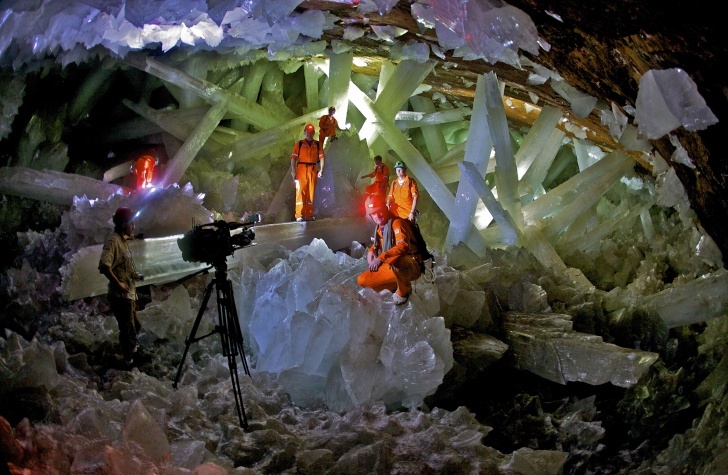 Naica Crystals Caves contain the largest natural selenite crystals ever found. Some of them are 12 meters long and weigh 55 tons.